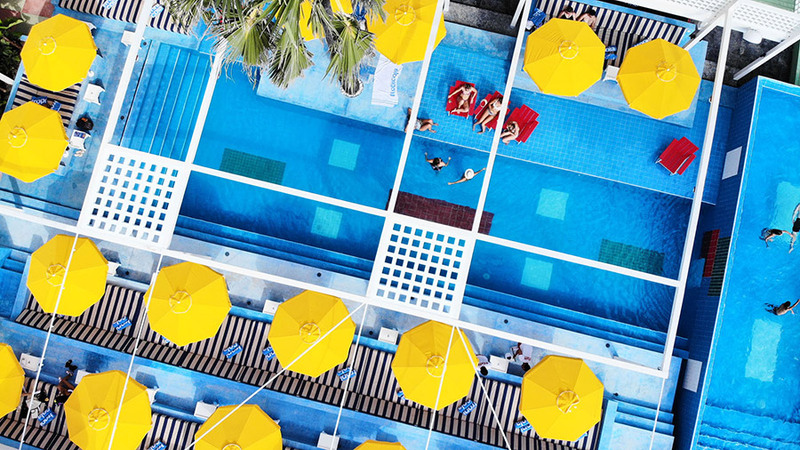 When I told my friends and family I was heading off on a trip to Jakarta, the most common reaction was: ‘Why not go to Bali instead?’ I would be lying if I said the same thought hadn’t crossed my mind at least once too. But now, having immersed myself in some of the essential sights, sounds and experiences of this bustling city, I’m so glad I went! 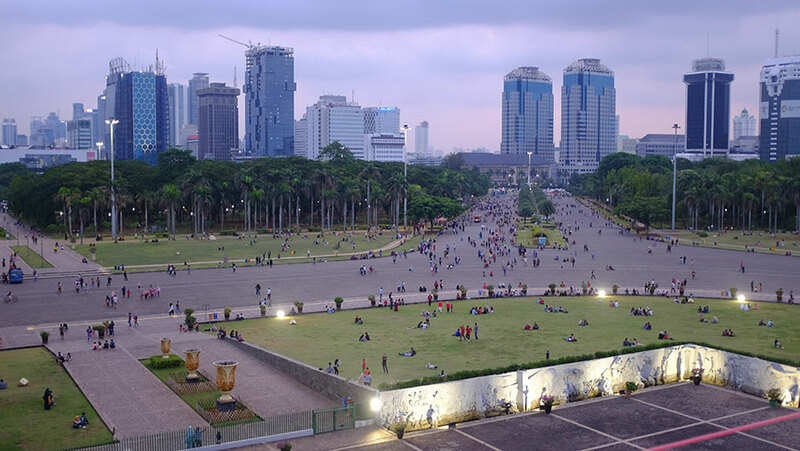 Located on the island of Java, the Indonesian capital of Jakarta is home to over 10 million people. That puts it in the ranks of the world’s most populated cities. 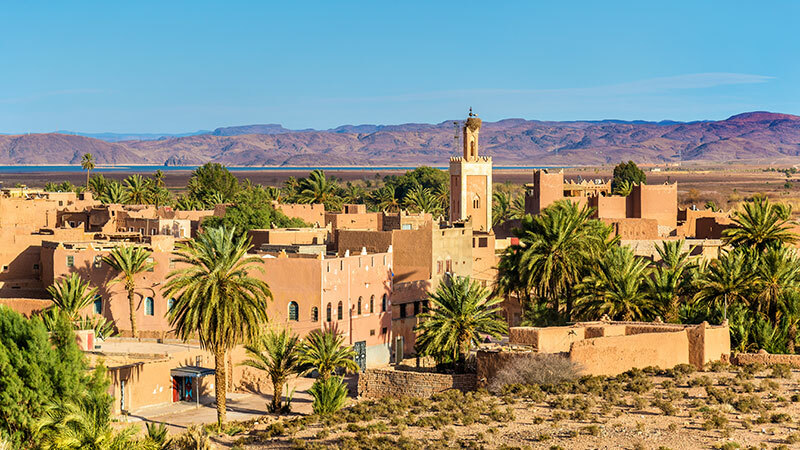 It’s also home to some of the most Instagram-obsessed locals I’ve ever met – but they have a good reason to be. 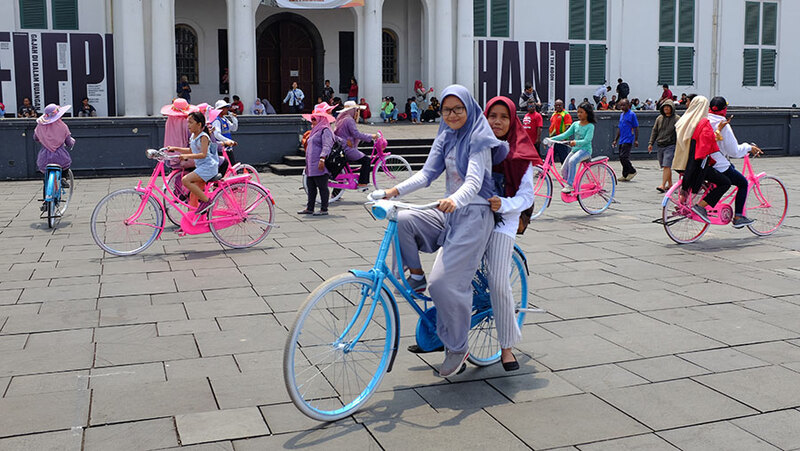 There are so many Instagram-worthy moments across Jakarta, from the rich, local coffee culture and dining scenes of Old Batavia through to landmark attractions such as the towering National Monument and impressive Istiqlal Mosque. 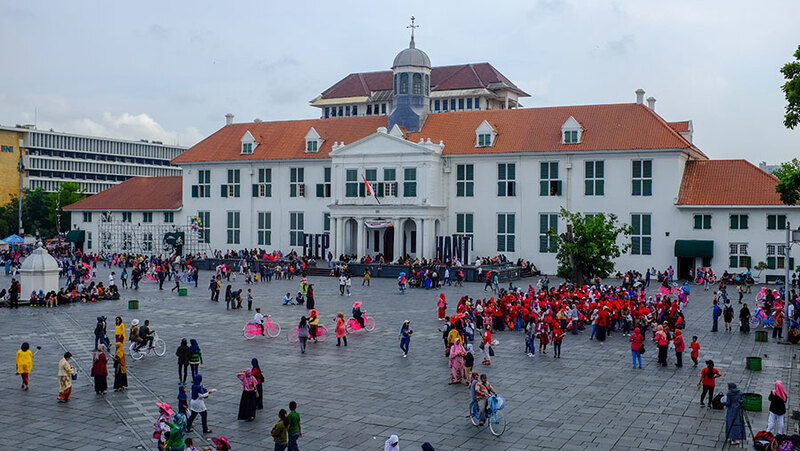 During its time under Dutch occupation, Jakarta was known as Batavia. 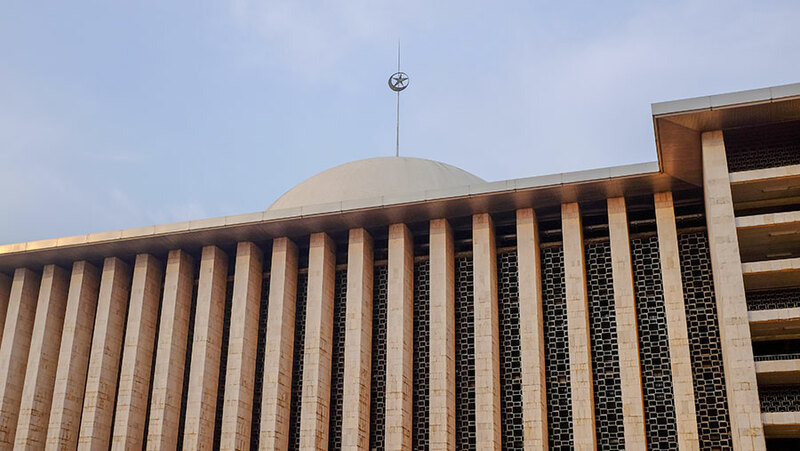 Vestiges of this time are still visitable at Fatahillah Square, the centre of Old Jakarta and home to numerous museums including the Wayang (shadow puppet) Museum, and Jakarta History Museum. The square is lined with shops and cafes and was bursting with life and laughter during my visit – a sea of colour with hundreds of pedestrians and dozens of cyclists whizzing past on rental bikes. It was mostly kids on bikes, but a few older people were also getting in on the action. The thing that really surprised me was how friendly and approachable everyone was. It wasn’t like other destinations where people are instantly trying to sell you something; children and adults would come up to you just to have a conversation, to practice their English, and sometimes even snap a selfie with you. It was a beautiful thing to see. The largest mosque in South East Asia, and the third largest in the world, Istiqlal Mosque is mighty impressive. Built to commemorate Indonesian independence, the mosque was opened in 1978 and has a capacity of more than 120,000 worshippers at one time. It’s admittedly the first mosque and only I’ve been to, but I was blown away by the scale and peacefulness of it. Though definitely a product of the era in which it was built, it’s incredibly beautiful and one of the city’s numerous architectural gems. Indonesia is home to more than 17,500 islands divided into 34 provinces. It would have been impossible to experience it all during my week-long visit, so I did the next best thing – visit Taman Mini Indonesia Indah (which translates to Beautiful Indonesia Miniature Park). Don’t be fooled by the name, though. There is nothing miniature about this place. 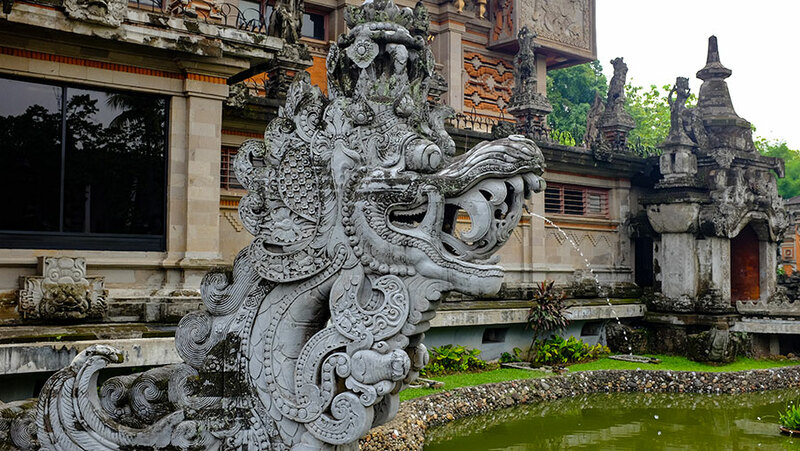 It’s like a theme park dedicated to preserving and showcasing traditional Indonesian culture, with full-scale replicas of traditional buildings from all corners of Indonesia, each of them a museum bursting with traditional clothing, instruments, furniture and much more. 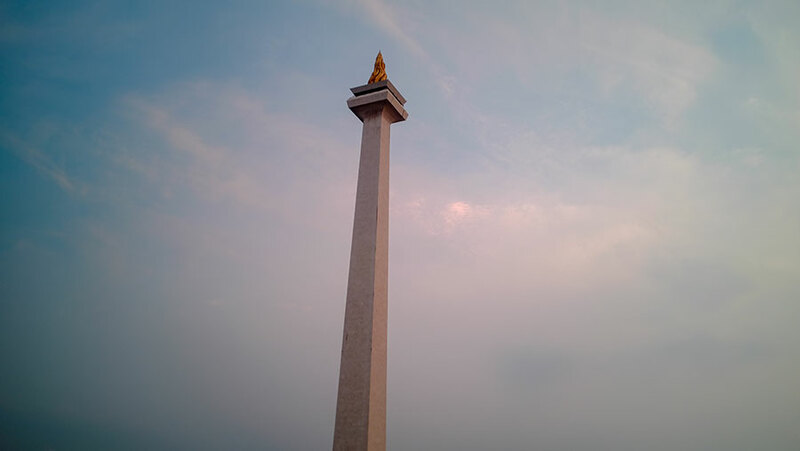 Located in the centre of Merdeka Square, in central Jakarta, The National Monument is an impressive structure built to symbolise Indonesia’s struggle for independence. 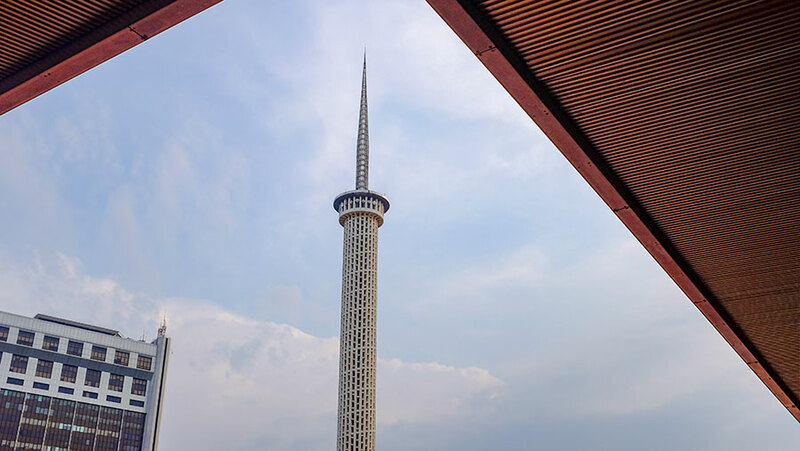 Like a giant torch reaching into the sky, it’s a powerful symbol that was inaugurated back in 1975. The basement houses a museum detailing the history of Indonesia, from its origins to the Dutch occupation and road to independence. There were so many battles and wars over the centuries; it’s a fascinating glimpse into how modern, independent Indonesia came to be. The lookout at its top affords incredible views across the city and parklands below. My visit fell mid-week, yet there were hundreds of locals all enjoying evening in the parklands. It was great to see locals taking advantage of public space like this. You don’t see that enough in Oz. 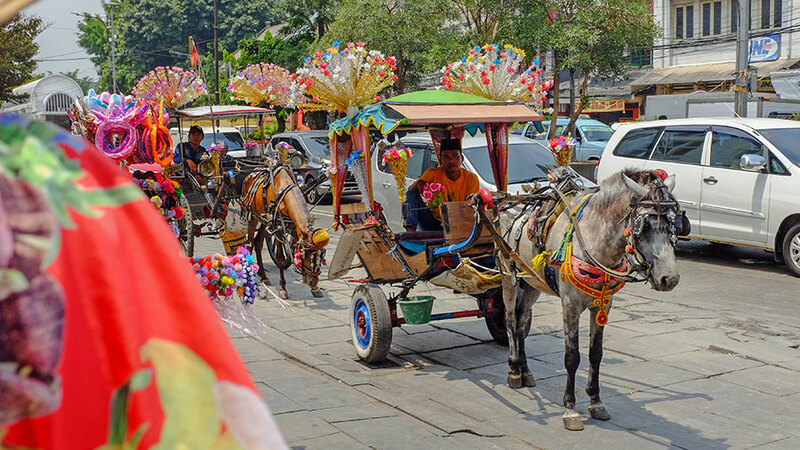 Jakarta is a diverse and fascinating city; these four sights are just the tip of the iceberg. Getting around can be a challenge, but, if you have nerves of steel and don’t mind driving with the locals, it’s so worthwhile. If in doubt, maybe invest in a local guide and driver.